Today's guest on LogoTalk Radio is Edward Marshall, Ph.D., Diplomate in Logotherapy, President of the Canadian Institute of Logotherapy, and author of the new book Logotherapy Revisited: Review of the Tenets of Viktor E. Frankl’s Logotherapy. Dr. Edward Marshall completed his Medical Degree at the University of Navarra, Spain, and practiced Family Medicine in the Canary Islands, Spain. 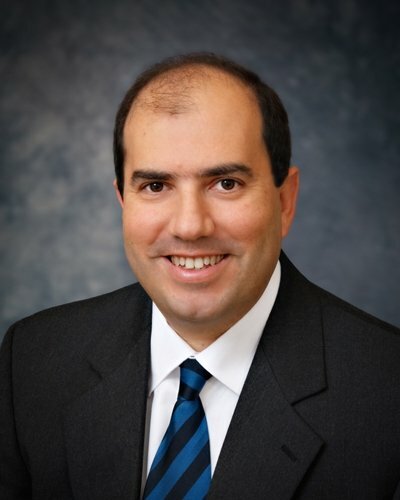 He earned his Master's Degree in Emergency Medicine, from the University of La Laguna, Spain. His Doctor in Medicine and Surgery (Ph.D. in Neuroscience) Degree is from the University of La Laguna, Spain. His Doctoral Dissertation focused on the neurophysiology of the visual system. He completed his residency in Psychiatry and earned his Post-graduate Diploma in Clinical Psychiatry at the University of Leeds, UK. He practiced as Psychiatrist at St. James' Psychiatric Hospital, Portsmouth, UK. Since moving to Canada, he has been practicing Psychotherapy. He completed the Diplomate Clinician in Logotherapy credential with the Viktor Frankl Institute of Logotherapy. Dr. Edward Marshall, along with his wife Dr. Maria Marshall, founded the Canadian Institute of Logotherapy, Ottawa, Canada. They are also authors of the new book Logotherapy Revisited which has been published since our interview was recorded. Dr. Marshall was one of the first people I became aware of in logotherapy when I began to study it and shortly after I started LogoTalk simply because of the similarity of our names, Marshall being his family name and my given name. We are both on Facebook, both on Twitter, and so the search engines constantly pulled us up together when the words “marshall” and “logotherapy” became associated. However, I only met Dr. Marshall this year, and in Vienna rather than North America. While having breakfast one morning at that the Hotel Regina, Dr. Marshall approached me and introduced himself. I recognized him, of course, from pictures on the internet. It seems that he had a message for me that someone had left with the hotel, though it had been routed to him instead of to me, again due the similarity of our names. We then, of course, shared breakfast, pleasant conversation about the future of logotherapy, and, at some point, visited the Sigmund Freud Museum together along with some other colleagues. So, finally, Marshall has the opportunity to interview Dr. Marshall on Logotalk! 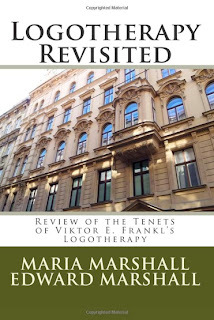 Dr. Marshall was a presenter at Congress Vienna 2012 The Future of Logotherapy in March. El lema de este año será: LOS VALORES Y LA PROMOCIÓN PERSONAL Y SOCIAL. APORTACIONES DEDE LA LOGOTERAPIA.